It is POSSIBLE to have a flexible hustle and still make good money from home. Today, I am going to list 14 flexible side hustle ideas that are perfect for stay-at-home moms. Online tutoring whether it is teaching specialized subjects or ESL, is the most convenient option for stay-at-home moms. The timings are very flexible, and the pay is excellent. It does not matter if you don’t want to teach specific subjects, you can just teach conversational English or other languages for companies like VIPKID, Cambly, Qkids. If you love teaching then try this hustle for sure. This hustle is a favorite one among stay-at-home moms and with a good reason. Taking care of the kiddos is a very happy and satisfying hustle, and many companies let you sign up as a babysitter. If your lifestyle fits with this job, then I suggest you try Sittercity and Sitter.com. You can also start your own childcare home business which could be more flexible for you. It cannot get much easier than this. Having an online e-commerce store is pretty flexible. This is undoubtedly an excellent choice for stay-at-home moms. Though you will have to monitor your online store, it is not a very tedious job as such. I interviewed Jenn who earns over $15,000 a month working part-time through her store. She is a stay-at-home mom of a special needs child and this e-commerce store perfectly suited her lifestyle. If you are good with marketing and have excellent networking skills, then you can get into direct sales. With direct sales, you control your timings, your work and the amount you earn. Many legitimate direct sales companies are into areas like health, nutrition, lifestyle, beauty, jewelry, food, etc. Take a look at companies like Arbonne, Avon, Stella & Dot, Chloe, Isabel, etc. By far this is my favorite hustle of all. There is an infinite demand for Virtual Assistants, and there are endless services you can provide. A beginner Virtual Assistant can earn $35-$50 per hour based on the services you offer. The biggest highlight of this hustle is, it can be done from anywhere and has total flexibility. If you love being on Pinterest, then you are in luck. You can become a Pinterest Virtual Assistant and get paid to work on your most loved platform. I am a little biased when I say moms are born experts when it comes to planning parties or events. I am a stay-at-home mom and love to organize my kids birthday parties. Event planning is a very profitable and creative hustle that gives you a lot of freedom to do things on your own. Melanie started her event planning business right from her kitchen table to planning parties for Hollywood stars. There is a HUGE potential in this hustle if you want to take it to the next level. This is entirely new to me, and it is exciting to know that you can earn a significant income doing this. You don’t need expertise for this hustle, but there is some learning to do. 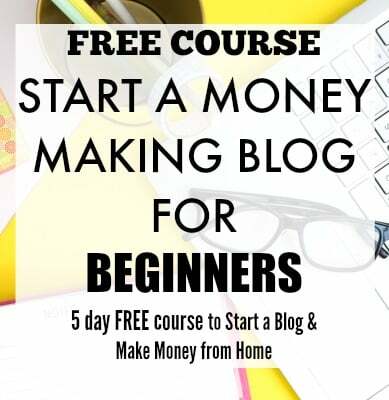 Jenn has been flipping blogs for a living for sometime now, and she teaches others how to do this through her course. Because this is an entirely online hustle, it can be perfect for stay-at-home moms. Do you know that you can potentially earn a six-figure income with Amazon FBA? Yes, you can. It does not matter whether you are a stay-at-home mom or a part-time side hustler, selling on Amazon can give you a good income. If you know the right strategies like where to find the products, how to do the listings and how to ship the items, this could be a great hustle. If this is something that you are thinking of, then check out Jessica’s course where she teaches how to start an Amazon FBA business. You can look at subscription box business as a side hustle if you have the creative skills to find the right things. A subscription box business runs on two factors, finding the right ingredients to send to your subscribers and your marketing skills. You can operate this hustle wholly from home, and the income is significant. Cratejoy is one of the most reputed companies out there that makes it easy to start and run this business. Of all the work-at-home jobs in the market, Transcription is the most advertised and most wanted by stay-at-home moms. This hustle is excellent for a couple of reasons like the ease with which you can get into the market, flexible timings and easy to learn. 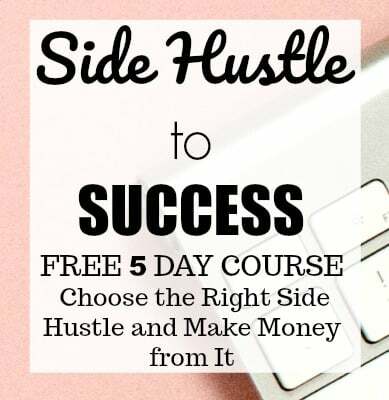 If you have been eyeing on this hustle but if you are unable to decide, take this free course and learn more about this hustle. Every day, I hear many success stories of stay-at-home moms earning a full-time income from editing/proofreading hustle. If you have the keen eye to spot errors, then this hustle could be great for you. Need more inspiration? Check out these fantastic stories of moms earning money from home through their proofreading hustle. If you want to try this hustle, then check out this free course. Now, this hustle is something I love doing. I have been blogging for about 18 months now and can say for sure it’s the most enjoyable side hustle I did. Being a stay-at-home mom, I need a lot of flexibility, and this hustle gave me just that. The bonus was the immense earning potential. If you love what you are writing about and help your readers with their problems, then blogging can be immensely satisfying. I highly recommend this hustle to anyone who is looking to work from home. One of the things we do every day as a stay-at-home mom is organizing our homes. Do you know that you can turn this into an income generating hustle for you? You can! At first, I never thought you could do something like this and earn money, but after interviewing Lisa Woodward, I got convinced. Not only she started a successful professional organizing hustle; she now has a team which manages this business. Want to give it a try? I love traveling and for me, the most strenuous part of the whole travel is, planning it. I was happy to know that there are people who work as travel planners to help others planning their vacations. Emily side hustles as a travel planner planning holidays for others. The most important quality you need to have as a planner is the love for traveling. If you are a stay-at-home mom, then this might be a good option for you. Put all the school holidays travel experience to good use with this hustle! There are many flexible side hustles ideas suitable for stay-at-home moms that can easily suit their schedules. As a stay-at-home mom, I understand the need and importance of having a side hustle and work around the family. 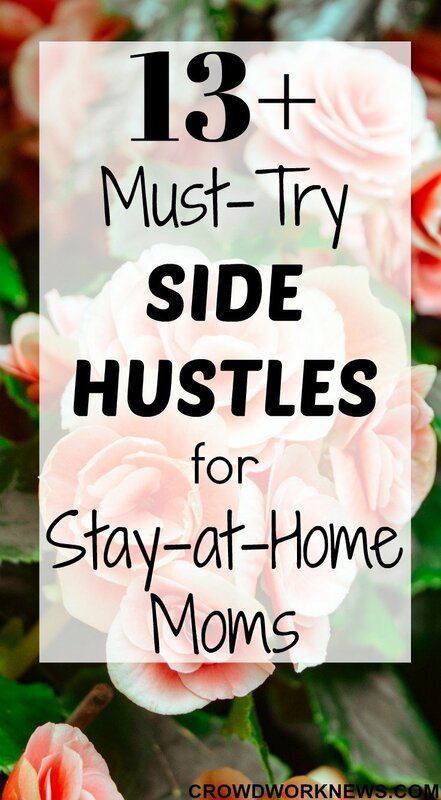 Whether it is to satisfy the financial needs or as a creative outlet, side hustles work great for stay-at-home moms. So, check out the above side hustles and get started with the right one.